The quicksilver guard who foreshadowed NFL quarterback Colin Kaepernick’s protest is now living in Atlanta, taking care of his five teenage children along with his ex-wife, training NBA players, and giving occasional speeches to groups in black or Muslim communities. At age 47, he has no regrets about choosing the difficult journey that Kaepernick is just starting. Abdul-Rauf has never spoken to Kaepernick, and isn’t a football fan. But he supports the quarterback’s protest and message “1,000 percent,” saying that it created a valuable debate. Denver Nuggets guard Mahmoud Abul-Rauf, left, passes the ball past San Antonio Spurs center David Robinson in the first quarter in Denver on Saturday, Nov. 4, 1995. On March 12, 1996, the NBA suspended Abdul-Rauf for one game, citing a rule that players must line up in a “dignified posture” for the anthem. It cost him almost $32,000 of his $2.6 million salary. The players union supported Abdul-Rauf, and he quickly reached a compromise with the league that allowed him to stand and pray with his head down during the anthem. 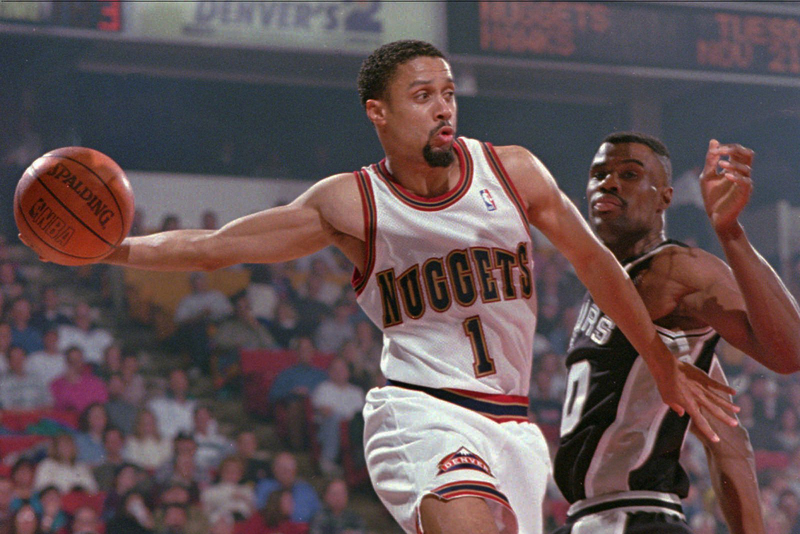 But at the end of the season, the Nuggets traded Abdul-Rauf, who averaged a team-high 19.2 points and 6.8 assists, to the Sacramento Kings. His playing time dropped. He lost his starting spot. After his contract expired in 1998, Abdul-Rauf couldn’t get so much as a tryout with any NBA team. He was just 29 years old. After the NBA shunned him, he played a season in Turkey, making about half of the $3.3 million he earned in the last year of his NBA contract. Abdul-Rauf caught on with the NBA’s Vancouver Grizzlies in 2000-2001, but played only 12 minutes per game. He never got another NBA opportunity, playing another six seasons in Russia, Italy, Greece, Saudi Arabia and Japan before retiring in 2011. Kaepernick is still taking a significant financial risk. After this season, the 49ers can cut him and not pay another cent of the six-year, $110 million contract he signed in 2014. “Look at all of what he has to lose by taking this position: his wealth, his endorsements, possible threats, the attacks against his family. He has a lot to lose. As far as I’m concerned, I think it’s more selfless than selfish,” Abdul-Rauf said. 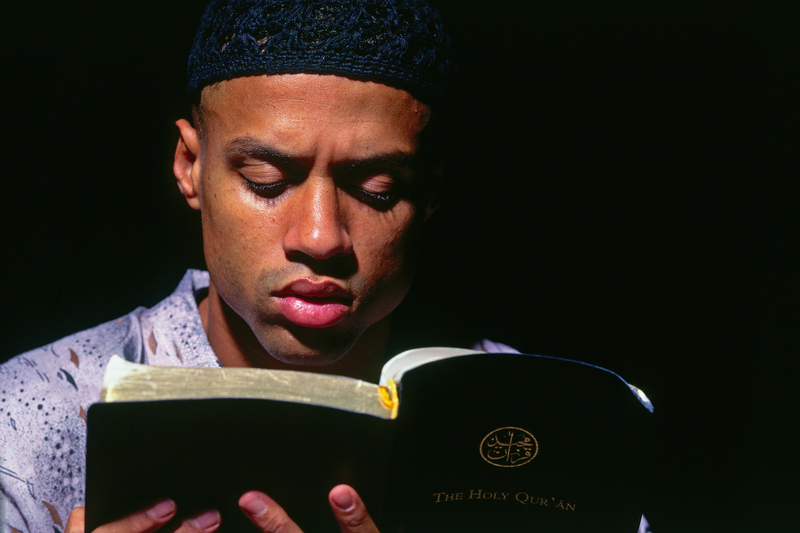 Mahmoud Abdul-Rauf #3 of the Denver Nuggets reads the Quran circa 1995 in Denver, Colorado. It all brings up strong memories of his own protest experience. That includes death threats by mail and telephone, and the letters “KKK” being spray-painted on a sign near the construction of his new house, five miles outside his hometown of Gulfport, Mississippi. His then-wife did not want to move into the 2,800-square-foot residence, and in 2001, while it was vacant and for sale, it was destroyed by fire. In the 1990s, few athletes took stands on social issues, which made Abdul-Rauf an outlier. Today, Kaepernick’s protest is the latest move – and one of the boldest – in a resurgence of athlete activism.